The American University of Malta had dismissed almost a third of its academic and administrative staff after failing to attract enough students for its courses. The university opened its doors to a mere handful of students in September, when the student population was meant to number over 300, mainly from abroad. No reasons were given for the dismissals, just before six-month probation periods expired. “The situation at the AUM is very serious, with no one knowing where the project is heading,” a source from the university said. The university only managed to attract 15 students, some of whom were already living in Malta. Most have already left. Internal documents show that the AUM had planned to recruit 330 students for the first year of operations. Efforts to bring over some 200 Chinese students do not appear to have succeeded. “There are no students, that is the main problem,” the source said. “Obviously you cannot have a university if no students are interested." Staff members complained that the AUM had no strategy to recruit students and has not even invested in a basic student database used by universities all over the world to attract students. “There is no money for such things,” academic and administrative staff were told when insisting they needed these basic tools. The budget that was dedicated for representation at student fairs to publicise the AUM’s courses was also drastically cut. Since the start of the academic year, nearly a third of the AUM’s personnel have been sacked, including lecturers who uprooted their families to settle in Malta for an AUM post. 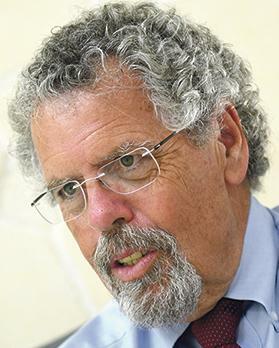 Provost John Ryder: No reasons given for staff lay-offs. The dismissals have already led to one judicial protest, to which the AUM has not yet replied. More legal action is expected from sacked AUM employees in the coming weeks. Provost John Ryder, when contacted, gave no reasons for the lay-offs. He refused to confirm or deny that the university had failed to attract enough students and declined to give further details. Despite having promised to provide details on student numbers, that information never materialised. “Sorry, but we will never discuss student actions nor personnel matters publicly. The student actions are their business, and faculty/staff issues are confidential,” he said. Last September, Prof. Ryder confirmed that the Sadeen Group still intended to take over a 30,000 square metre site at Zonqor, Marsascala leased to it by the government at the highly advantageous rate of €179,000 per year. The group plans to build a campus and residential facilities there. The AUM is currently operating from converted former dockyard workshops overlooking Dock 1 in Cospicua. But refurbishment and building works have fallen behind schedule. When he announced the agreement with Sadeen, Prime Minister Joseph Muscat said the AUM would have some 3,000 students by its fifth year of operation, saying the government was finally giving the south “a project that will enhance economic and social regeneration”. 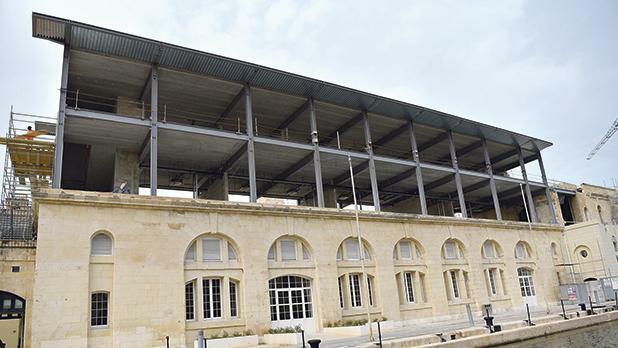 Critics of the AUM, including the PN and the Civil Society Network, had dubbed the planned project as a land speculation scheme in one of Malta’s last unspoilt coastal areas, camouflaged as a university.